In case you are not familiar with the ceremony. 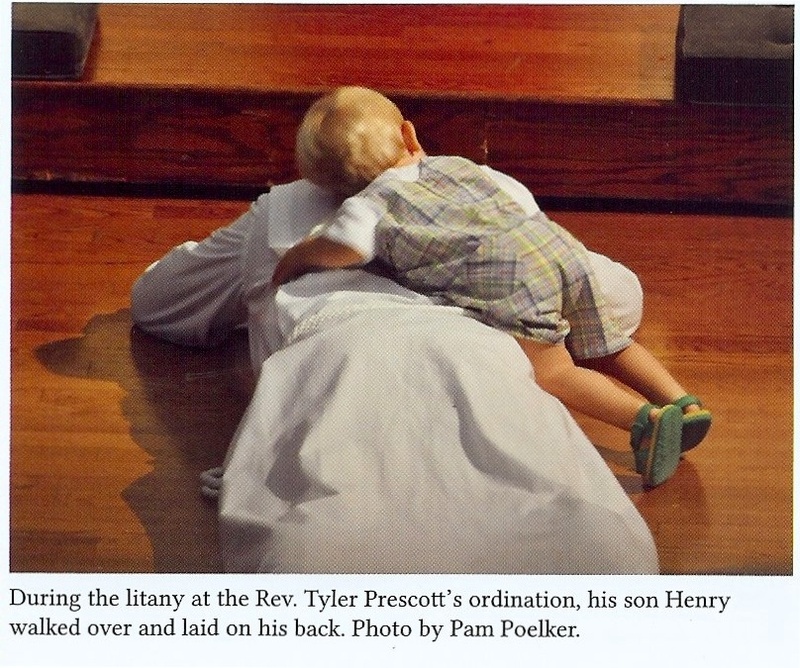 During the ordination service, there is a portion of the service called the Litany of the Saints. This is when those being ordained lie prostrate in supplicaiton and the congregation calls out to the saints to pray for the men to be ordained at this moment and throughout their ministry.